I am SO EXCITED to be featuring one of my favorite authors on the blog today!! Dianne Salerni is the author of WE HEAR THE DEAD, THE CAGED GRAVES, and THE EIGHTH DAY (a forthcoming series from HarperCollins) and some of you may remember that I gushed about her earlier this year after devouring THE CAGED GRAVES. Today, Dianne is here to talk about real caged graves, the spiritualist movement, and happenings that stemmed from both of these unique bits of history. My first two novels, We Hear the Dead and The Caged Graves, are both better categorized as historical novels than paranormal or horror stories. However, each one originated from something creepy – and true. The Caged Graves was inspired by two real graves in an abandoned cemetery in Catawissa, Pennsylvania. The graves belong to sisters-in-law who died within a couple days of one another in 1852 and whose family – for some reason — chose to enclose their burial plots in iron cages. The story behind these graves has been lost to history. The most often cited explanation for the cages is protection from grave robbers – especially medical students seeking fresh cadavers for anatomy practice. But one has to wonder why only those two graves needed protection. Why did the family of these women consider them likely targets for grave robbers? And, more importantly, why erect a decorative, permanent structure for a danger that would only last a few days? The bodies wouldn’t be desirable very long. While the historical facts behind The Caged Graves have been lost to time, the inciting incident that inspired We Hear the Dead is well documented by a pamphlet published a few weeks after the events. In May of 1848, in a one-bedroom, rented house in Hydesville, New York, a persistent but unexplainable rapping sound kept the tenants up several nights in a row. The adults, Margaret and John Fox, searched in vain for the source of the noise, while their two daughters, Maggie and Kate, insisted the rapping was caused by a “spirit.” After a few sleepless nights, an exhausted Margaret Fox complained that it must be the Devil himself. That’s when the youngest girl, Kate, sat up in bed and said, “Here, Mr. Splitfoot*. Do as I do!” She snapped her fingers three times — and was answered by three sharp raps. Kate and Maggie enticed the mysterious noise to imitate them several times and finally to answer questions by rapping once for yes and twice for no. By this means they determined the raps were caused by the spirit of a man who’d been robbed, murdered, and buried in the basement by a former tenant. This creepy little incident was the beginning of the spiritualist movement – or rather, when Kate and Maggie’s older sister decided to take the girls on the road as spirit mediums – that was the beginning. The Fox sisters went from entertaining/scaring the neighbors in Hydesville to contacting wealthy patrons’ dead relatives for money all over the country. The younger girl, Kate, became the Lindsay Lohan of the 1850s while her sister Maggie was caught up in a star-crossed celebrity romance with a famous Arctic explorer. Was it a hoax? There is evidence both for and against that. One sister admitted to fraud forty years later, but only after she was well paid for the confession. The other sister never recanted. It’s a shame Maggie and Kate were never asked to contact the women buried in Catawissa’s caged graves and get the scoop on what happened there! *Mr. Splitfoot is a 19th century term for the Devil. I bet that you didn’t know that We Hear the Dead was the inspiration for a short film called The Spirit Game, which premiered at the 2013 Cannes film festival! The trailer to the film can be found below, but also stay tuned for my review of We Hear the Dead, coming soon! 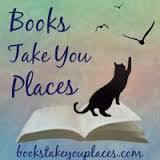 Dianne, thank you SO MUCH for joining us on Books Take You Places, I loved reading all about the facts behind your books! Readers, head on over to Brittany’s blog to see what she has in store for you today! The Spirt Game Trailer from Craig Goodwill on Vimeo. 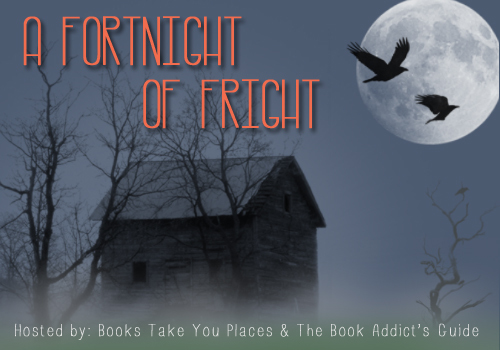 This entry was posted in Event, Guest Post and tagged Authors, books, caged graves, death, Dianne Salerni, Fortnight of Fright, ghosts, Halloween, historical fiction, horror, mystery, paranormal, spirits, spiritualism, supernatural, witches. Bookmark the permalink.